Serene Heights is a fast growing, modern township that comes with abundant green zones, themed playzones that are inspired by traditional games and dedicated recreational parks. 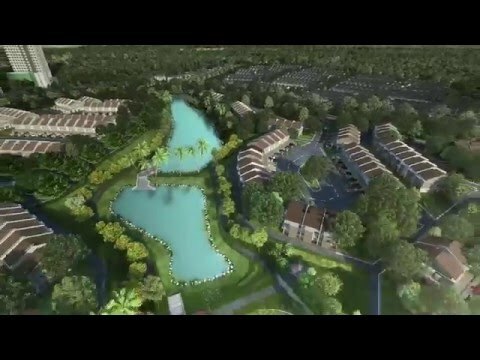 It also features a 1.3 km winding waterway and cycling and jogging track. It’s the perfect township for family and community living – peaceful and conducive. Persiaran Serene, Serene Heights, Semenyih, Selangor. 'Dahlia homes are designed to provide you a modern home with a hint of traditional elements. Coupled with spaciousness and well designed layouts, for a truly comfortable home you'll enjoy. A harmony between modern living and the good old days.